The Wolflore and GHF Affiliate Sites Status Page is now back up. If we're ever down, go there to see if there's a message about when we'll be back up. Oh this is neat, when did we get affiliated sites? We've always been a sister site of GHF and GHF has the affiliates: Morrowind Modding History, C&E, and now The Holds of Skyrim. We're still our own site, but it's by Fliggerty's good graces that Elaura and I don't have to pay for hosting. 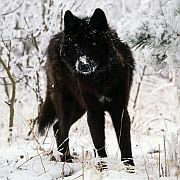 Jac wrote: The Wolflore and GHF Affiliate Sites Status Page is now back up. If we're ever down, go there to see if there's a message about when we'll be back up. Sorry for bumping this thread, but the GHF status site had been down for about three days now and I dunno when Fliggerty is gonna to fix it. However, if anyone here wants to login on GHF then visit MMH and click on the "Forum" link at the top then you can login to GHF, sort of a kitchen door login. I was able to post a thread here. Fligg's in the process of moving everything over to a new server, so I'm not surprised that particular page is down. He said he's going to be out-of-town this weekend, so the full migration won't happen until next week at the earliest. Thanks for the information Jac. That probably means that Fligg is gonna to make the Mod History 2.0 operational, for a final tuning (everything needs to tested), before its debute whenever that's gonna to happen.